Missed opportunities, unfulfilled dreams, and broken promises are the stuff of everyday life and so is regret, the emotion that accompanies them. Unlike remorse which is consequent upon the realization that one has hurt a loved one, regret revolves around a wistful sense of having let oneself down. Middle aged and elderly individuals are specially prone to regret ; the wish to reverse what one did wrong gets intensified as time left to live becomes shorter. Regret also carries with it the potential of masochistic self-flagellation which conceals the omnipotent belief that things could have been otherwise; the fact that life is what it is thus gets denied and eclipsed. 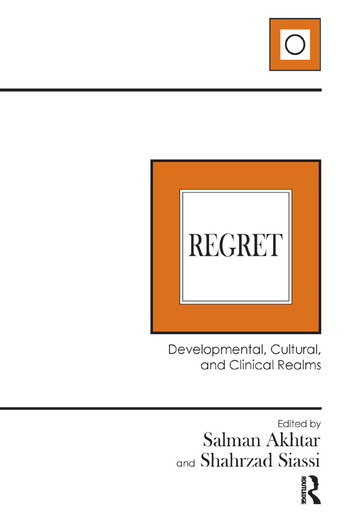 The author's edited volume on regret addresses this inoptimally studied emotion from developmental, cultural, and clinical vantage points. It deepens our understanding of regret, enhances our empathy with 'spilled-milk' hand-wringing, and sharpens our technical skills to help persons burdened by chronic regret.